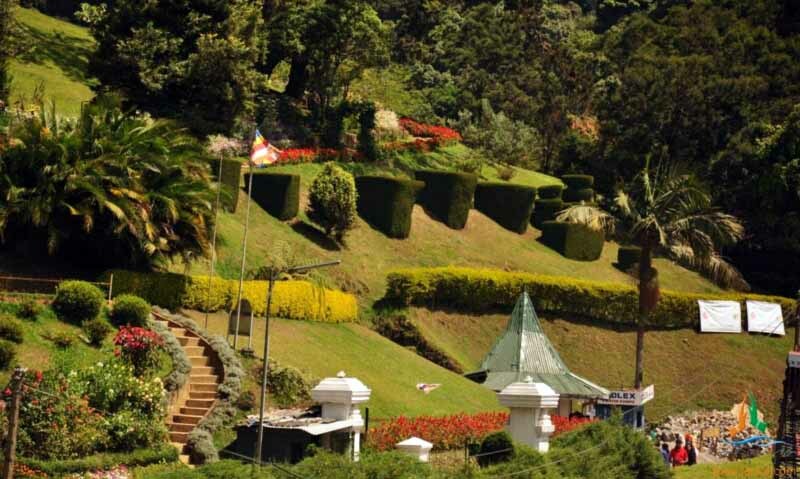 Only a few hours from Colombo, Nuwara Eliya sits amidst the hills in eternal temperate winter. It is charmingly called “Little England”, as it was here where British settlers built their holiday bungalows and spent their downtime. Nuwara Eliya is one of the most unique and spectacular areas of the country. Nestled high away in the mountains, it’s almost like an entirely different world when compared to the rest of the island country. The red telephone boxes, rose gardens, colonial bungalows and the tea plantations adds up to the British city vibe of it engrossing you in its charm. One of the most amusing things to do in Nuwara Eliya is to take a walk around the city and visit the colonial style Post Office. 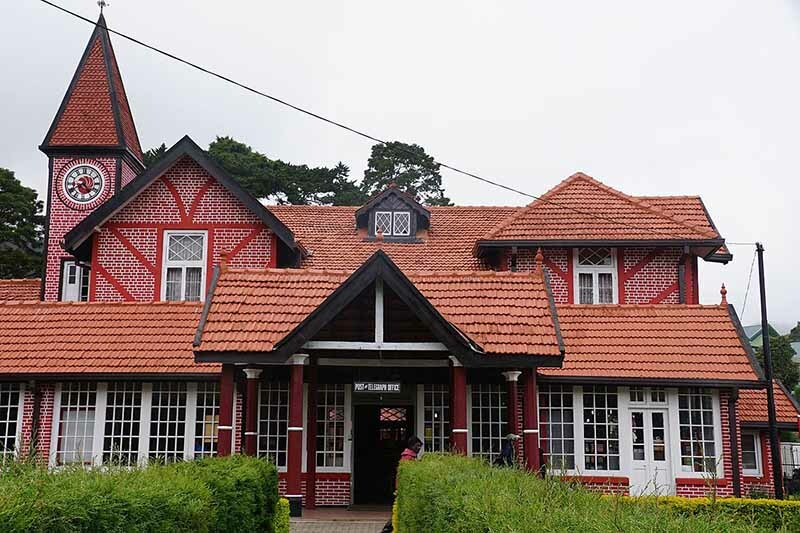 Built in 1894, Nuwara Eliya Post Office is one of the antique buildings in the city and is a must visit place for lovers of antiques. You can also see many red telephone boxes around the city which enhances the British city vibe of it. 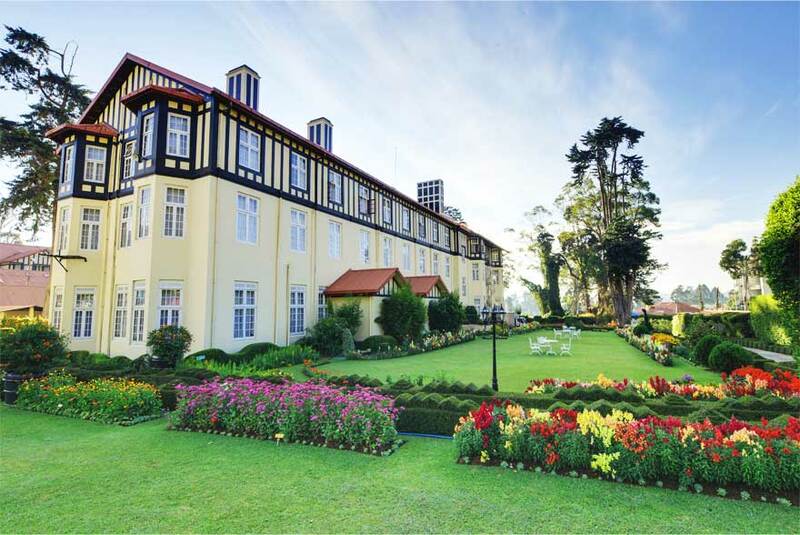 Built during 1891 as the home for the governor of Sri Lanka, Sir Edward Barnes, the now Grand Hotel is the perfect place to spend the night the right way in Nuwara Eliya. The hotel has great dining options and a lovely high tea. 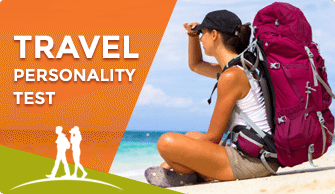 They can also organize activities like trekking, fishing, and sunrise safaris. 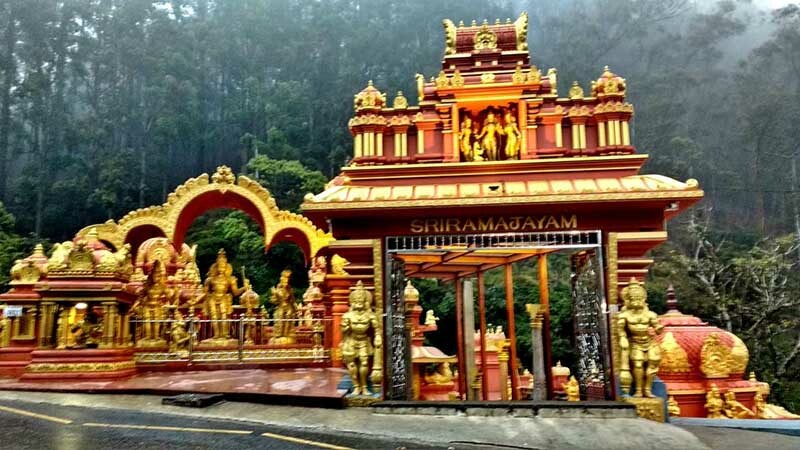 One of the more uncommon places to visit in Nuwara Eliya is the Seetha Amman temple. It’s quite a special place as it’s the only Sita temple in Sri Lanka. It is also quite a sacred spot. You will likely pass the Seetha Amman temple on your way out of Nuwara Eliya towards Ella. So there really is no excuses not to stop off! Since Nuwara Eliya is a hill station is has bountiful greenery and lush landscapes everywhere you look. Tea estates and hills make it worth staying for at least 3 days in this city. 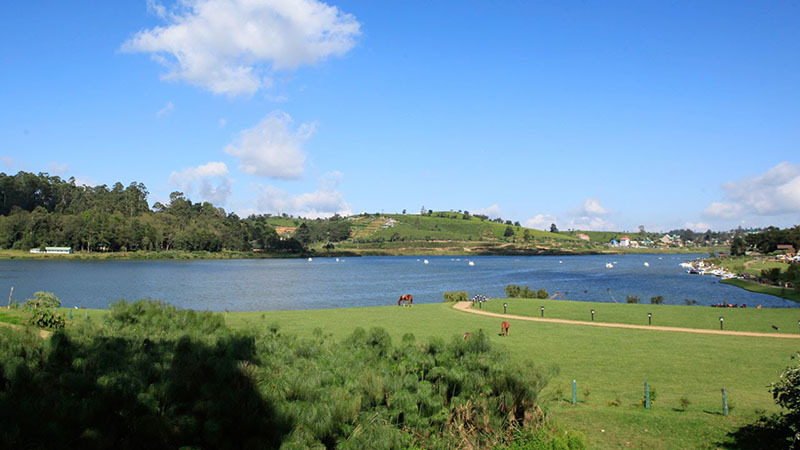 Gregory Lake is a huge lake in the middle of the Nuwara Eliya. Not only is it popular among travelers for fishing but you can also hire a rowing boat, Swan paddle boat or a water scooter to explore the scenic lake. There is a calm park next to it with walkways and benches to rest on. There are horses roaming which are offered for rides, plus for a few hundred rupees, tourists can take a 20-minute speedboat ride on the lake. Take out your binoculars and indulge in some bird watching and capture the Indian Blue Robin, the Kashmir Flycatcher and Pied Thrush on your camera at Victoria Park. You can stroll around the park and witness attractive species of birds in the park. You can also go to the Galway’s Land Bird Sanctuary located few kilometers ahead of Victoria Park. You can go for hiking from the Horton Plain National Park to the bewitching Ela town passing through the marvelous Bambarakanda Waterfall. You can absorb the beauty of Nuwara Eliya through the thick forest, pristine waterfall and fascinating rocky landscape by going on this adventurous trek. What makes Bomburu Ella waterfall so significant is that it’s the widest waterfall in Sri Lanka. And is made up of multiple smaller waterfalls. You can visit either before or after Moon Plains, as they are each in the same direction. As an added bonus, getting to Bomburu Ella waterfall is pretty easy as it’s so close to Nuwara Eliya so you won’t be spending much time on travel. Most of the tea plantations in the area are quite open to access. Because there are so many hundreds of thousands of trees, you don’t have to worry about finding areas fenced off with barbed wire. You can simply stop off and go out for a nice peaceful walk amongst the plantations. On your way, you’ll come across lots of women out working the fields which could be a delight for the photography enthusiasts. This places surprisingly used to be a garbage dump up until 2010. Now, the area attracts thousands of visitors every single year. Many choosing to either hike, cycle or drive through the park. The top thing to do in Moon Plains would be to climb Mini World’s End. It offers panoramic views of the area, as long as it’s not a foggy day! You also have the chance to spot a wild array of wildlife. The area is home to everything through from wild elk to leopards. The latter of which is a lot rarer. Whether it is the Lover’s Leap waterfall or the St. Clair’s Fall, one of the best things to do in Nuwara Eliya will always include enjoying the spluttering waterfalls. You can either hike up to the waterfalls or stroll through the forests and reach them. The Hakgala Botanical Gardens are believed to be the highest altitude botanical gardens in the world. On the road to Badulla, stop at the green gates and visit the beautifully manicured gardens full of roses and orchids and other plant species. 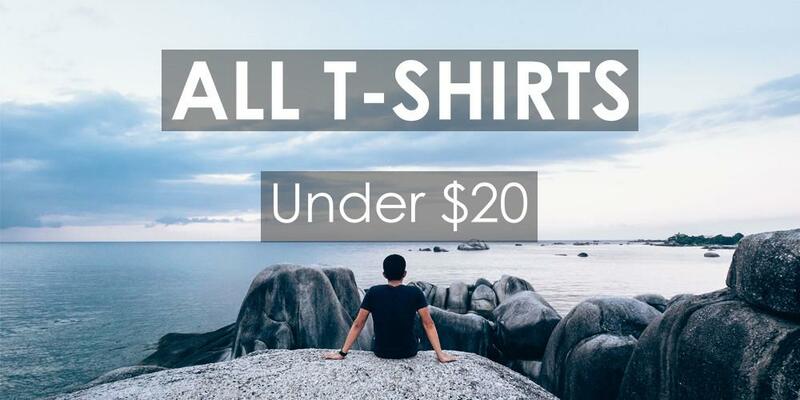 Nuwara Eliya is famous for its winter market also known as the Bale Bazar which is popular among the locals as it offers a huge variety of winter clothes. Visit the market if you feel like wearing a cozy sweatshirt and exploring the city. Golf – The Nuwara Eliya Golf Club is situated right in the heart of Nuwara Eliya and is surprisingly cheap for a round. 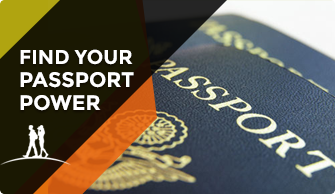 You can play and rent out everything you need for around 8400 rupees in total. That even includes a caddy to go around with you. Hire a tuk tuk – Get into one of the Tuk Tuks to reach from one point to the other. Rent a moped – Just be careful when it’s been raining as the roads might be a bit treacherous and won’t be as easy as riding in the West. Rent a Cycle – This one really depends on how much you love cycling! Some of the things to do in Nuwara Eliya are a little far out of town so do this only if you are very fit. 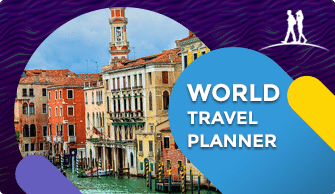 You can check out online sites like Booking.com or Trivago to get the best deals. You can also try Airbnb in the city. There are numerous places to stay here varying from star hotels to budget-friendly ones too.